My first paid photography job was shooting Jenny McCarthy in 1989, but it was way before Jenny that my obsession with the camera began. I discovered early on that capturing the moment meant everything. At 14 years old, with a camera permanently around my neck, friends and family were constantly expecting me to get the perfect shot; I rose to their challenge and never missed a moment. Born and raised in the small farming town of Creston, Iowa, I never imagined making a living from photographing beautiful people and exciting events. As a young photographer, I explored multiple genres, earning a degree from Drake University in communications and making professional forays into the fashion and commercial worlds of photography. 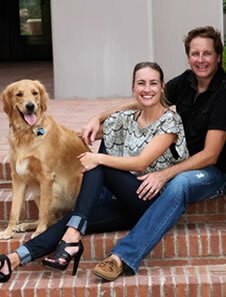 Fast forward 20 years and I met my business partner and the love of my life, Alisha, while shooting a charity event in Los Angeles. She is now my wife, booking manager and full time Second Photographer. Alisha and I have been photographing weddings and portraits together since the spring of 2010 and all of our past clients have taken notice of our chemistry. We complement each other in such a unique way that everyone involved feels comfortable. We photograph over 40 weddings per year. With my extensive training and background in fashion and commercial photography, it gives me a modern style of portraiture that captures emotions in beautiful and creative ways. Alisha is a contemporary photojournalist who is passionate about people and relationships and enjoys capturing details and unique moments. Together we bring a little bit of everything that pleases all of the senses. 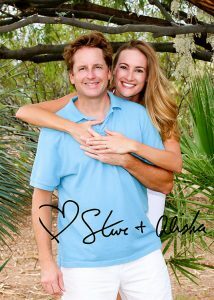 We are currently based in Tucson, AZ., but have traveled worldwide for weddings, celebrity events, & fashion. Besides photography, we spend our free time enjoying our family. We are still in awe of our precious son's birth in August 2017. We also have another son; our ridiculously cute golden retriever. He is fittingly named Canon. These two are everything to us and are the “focal points” of our lives. Contact us for your next booking.